Retailers are experiencing a rapid change. New technologies and increased customer expectations make adaptions necessary. In today’s world, an individual customer support that is accessible 24/7 as well as a smooth fusion of the online and offline world are standard requirements for a satisfying customer experience. They will gain even more importance in the future and remain hard to fulfil. Especially without the use of AI-based technologies like chatbots and voice assistants. But how can chatbots and voice assistants help retailers to meet these expectations? We’ll show you different examples how other retail businesses are already using chatbots and voice assistants to enhance the customer experience across the customer journey. One of the most common uses cases for chatbots is supporting customer service. Most customers are used to get in touch with companies via Social Media or various messengers. A chatbot can answer most of these requests directly – even on weekends and outside opening hours. That’s a huge relief for customer service, as frequently asked questions about opening times or return policies can be answered directly by the bot. In case a customer has a more complicated problem, such as a broken product or special requests for his order, the chatbot can forward the conversation to a human employee. This leads to cost savings while increasing customer benefits. A chatbot is capable of much more than answering customer inquiries. It can help guide users through the huge product selection by providing information about available products and suggesting suitable ones. For example, The North Face offers a chatbot on its website that allows users to find the perfect jacket for their next outdoor adventure. Also the Ebay’s chatbot helps you to find the best deal. A chatbot can also serve as a personal styling consultant. Based on a questionnaire about personal preferences the bot can provide specific styling tips. For example, you could receive recommendations for a perfect hair styling from the Flawless chatbot created by Gabriele Union or use Nike’s chatbot to create your individual sneakers. We’ve already written a lot about the benefits of chatbots. But what about using voice assistants? There is actually a clear trend in more and more users shopping with the help of voice assistants. Definitely an opportunity that retailers shouldn’t miss. To make use of this huge potential, it is important that the products are optimised for voice search. Otherwise, they can’t be found. You can find a good summary of how to optimise your products on t3n or on Neil Patel’s blog. The instore shopping experience is as important as the online one. Even in-store, voice assistants can make the customer’s shopping experience much more relaxed and enjoyable. For example, they can be used to guide the customers to the desired product or to inform them about detailed product information or ways to use the products. The Alexa skill “Bottle Genius”, for example, gives customers at the Bottlerocket whiskey shop recommendations which whiskey they might like based on the customer’s preferences. After-sale is just as important as pre-sale. An outstanding customer experience doesn’t end with the purchase. Chatbots can be used to keep customers up to date regarding their delivery. UPS shows how it can work: Users can request updates on their delivery via Facebook Messenger or Skype with help of the UPS Chatbot. 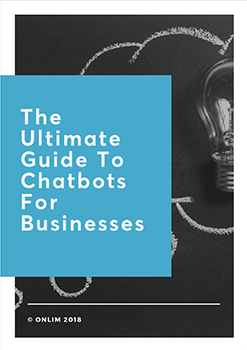 In addition, chatbots can be used to keep in touch with existing customers and prospects. For example, you can inform them about product updates or promotion offers. On chatbotslife.com you can find a good overview of the possibilities of using chatbots for push notifications. 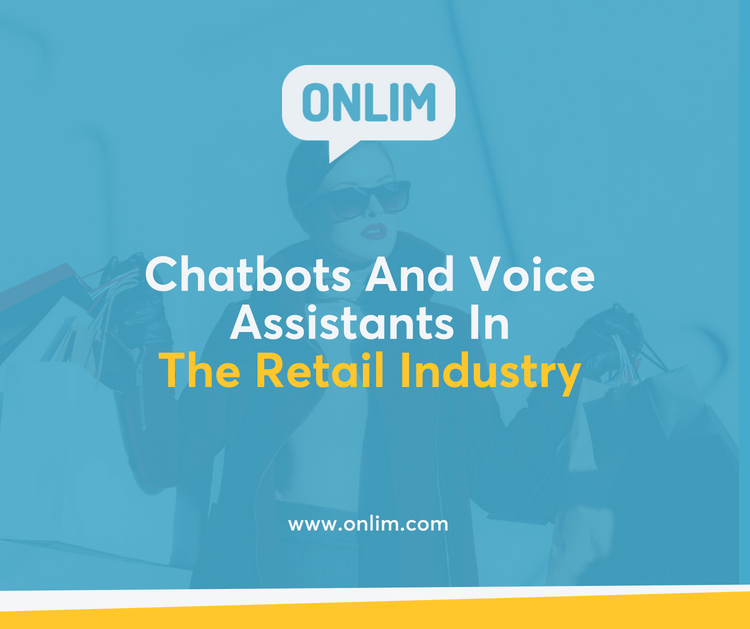 Onlim develops customized chatbots and voice assistants for customer service, marketing and sales, among other with a special focus on retail. For more info on our solutions, have a look here and feel free to arrange a free online demo. Interested in reading more about chatbots, AI and voice assistants?